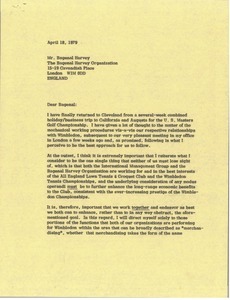 McCormack writes regarding International Management Group and Bagenal Harvey Organization's respective relationships with Wimbledon. 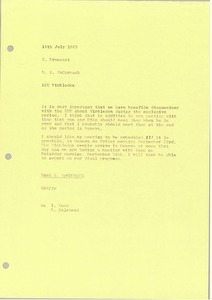 McCormack writes regarding the European Broadcasting Union and Wimbledon. 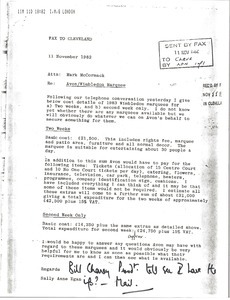 McCormack informs Cooper that Avon, Cadillac and Home Box Office are interested in marquee tents at Wimbledon in 1984. 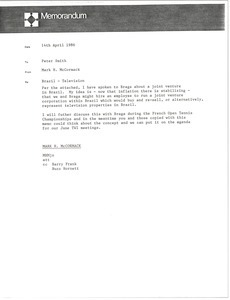 Brazil - Concerning Brazilian television rights to Wimbledon. 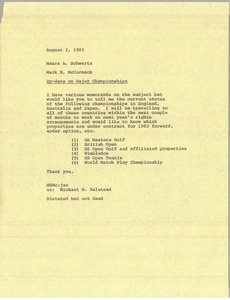 McCormack asks Schwartz for the current status of six major championships, so that he knows which contracts are covered already for 1983 and which need to be worked on. 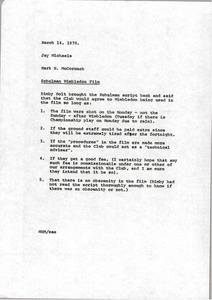 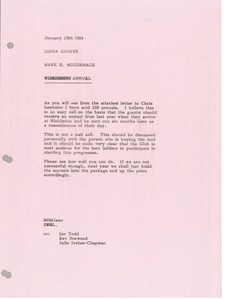 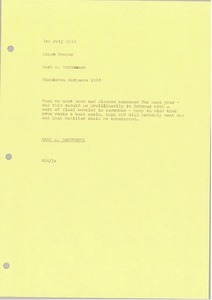 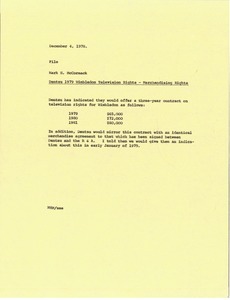 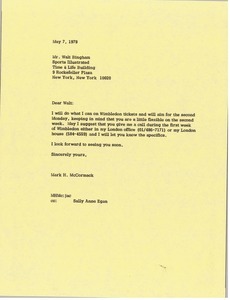 McCormack writes regarding the Schulman Wimbledon film.